Noteblocks get reborn by turning into a book, as soon as,someone holds them. Made from thrown away tables, chairs, book shelves, drawers, almirahs, panels, windows, foot rests - all that have been through time, yet to make a comeback. 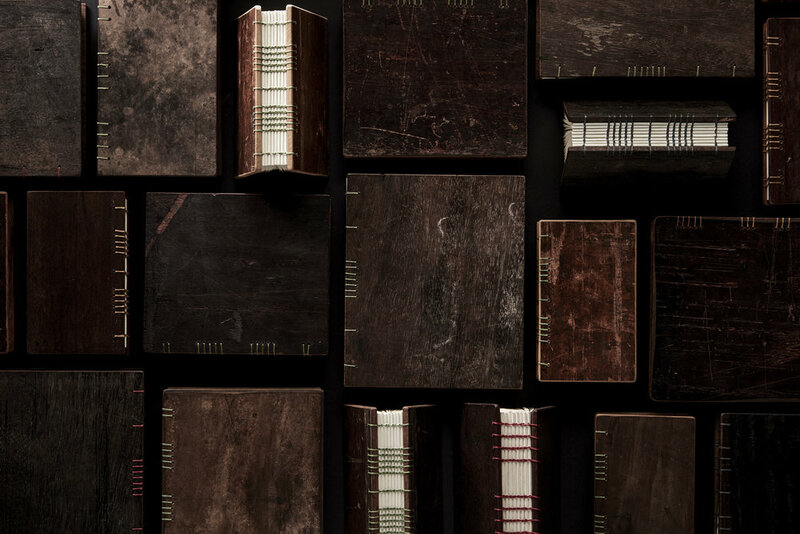 The Noteblocks you see are 100% hand-crafted, down to the stitching. Each Noteblock has a unique story to tell. Stories once forgotten. But not anymore. Now with you – they are reborn. Made from a window that someone saw life out of or a table where a family shared many stories. The furniture series are a set of unique pieces that now will write new tales with a different author – you. This series of Noteblocks wanted to be close to their old friends – the insects. 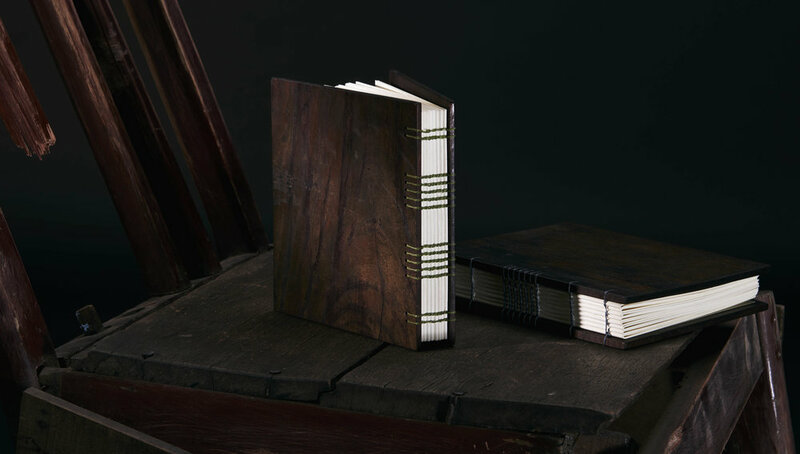 Each book takes on the patterns of insects with brass inlays. Not a single book in the insect series is a repeat. Every book is and will always be one-of-its-kind. Somewhere in the pile were pieces of wood that no one knew where they belong. All had beautiful marks of a time on them. We wanted to pay homage to these marks, that made them imperfectly perfect in every way. Marks that even in rebirth stay with them.